We define cyber attribution as the allocation of a cyber attack to a certain attacker or a group of attackers in a first step and the unveiling of the real-world identity of the attacker in a second step. While the methods of attacker allocation have made significant progress in recent years, digital technologies often still do not provide sufficient evidence for the real-world identity of an attacker. The situation is different if attribution is handled as cyber-physical process, i.e. as combination of digital forensics with evidence from the physical world. Bits and bytes are not really virtual, but still bound to a physical infrastructure which opens different ways to detect adversaries. Gaps can also be filled by conventional espionage. The chapter gives an overview of the current methods and practices of cyber attribution with real-world examples. Rid, Th., Buchanan, B. (2015): Attributing Cyber Attacks. The Journal of Strategic Studies, 2015 Vol. 38, Nos. 1–2, 4–37, http://dx.doi.org/10.1080/01402390.2014.977382. Tsagourias, N. (2012): Cyber attacks, self-defence and the problem of attribution. Journal of Conflict & Security Law Oxford University Press 2012, 16 pages https://doi.org/10.1093/jcsl/krs019. Alperovitch, D. (2014): Deep in Thought: Chinese Targeting of National Security Think Tanks 07 Jul 2014, 8 pages www.paper.seebug.org. Best, R.A. (2009): Intelligence Issues for Congress. CRS Report RL33539 www.fas.org. Denker, H., Roodsari, A.V., Wienand, L., Kartheuser, B. (2019): Wie konnte ein 20-Jähriger den Riesenhack schaffen? T-Online Nachrichten. 08 January 2019. www.t-online.de. FireEye (2014): APT28: A Window into Russia’s Cyber Espionage Operations? 45 pages www.fireeye.com. Jennifer (2014): Breaking the Code on Russian Malware. The Recorded Future Blog Posted in Cyber Threat Intelligence 20 Nov 2014 www.recordedfuture.com. Kaspersky (2013): “Winnti” Just more than a game. April 2013, 80 pages plus appendix www.securelist.com. Kaspersky (2014): Unveiling Careto – The masked APT February 2014 www.securelist.com. Kaspersky Lab (2015a): Equation Group Questions and Answers. Version 1.5, February 2015, 32 pages www.securelist.com. Kaspersky Lab (2015b): The Duqu 2.0 Technical details. Version 2.0, 9 June 2015, 45 pages www.securelist.com. Kaspersky (2016): The Project Sauron APT August 2016, 14 pages www.securelist.com. KrebsonSecurity (2016): Carbanak Gang Tied to Russian Security Firm? Official Security Blog of Brian Krebs 2016 www.krebsonsecurity.com. McDonald, G., O’Morchu, L., Doherty, S., Chien, E. (2013): Stuxnet 0.5: The Missing Link. Symantec Report 2013, 18 pages www.symantec.com. Novetta (2015): Operation-SMN-Report June 2015, 31 pages www.novetta.com. Novetta (2016): Operation-Blockbuster-Report February 2016, 59 pages www.operationblockbuster.com. Perloth, N., Shane, S. (2017): How Israel caught Russian hackers scouring the world for US Secrets New York Times online, 10 Oct 2017 www.nytimes.com. Süddeutsche Zeitung Online (2013): Hacker aus China klauen Google Datensätze. 21 May 2013 www.sueddeutsche.de/ digital/gegenspionage aus China google gehackt spione gecheckt-1.1677106. Symantec (2016a): The Waterbug attack group. Security Response Version 1.02 Symantec, 14 Jan 2016, 44 pages www.symantec.com. Symantec (2016b): Strider: Cyberespionage group turns eye of Sauron on targets, Symantec Official Blog, 07 Aug 2016 www.symantec.com. Symantec (2016c): Odinaff: New Trojan used in high level financial attacks, Symantec Official Blog, 11 Oct 2016 www.symantec.com. 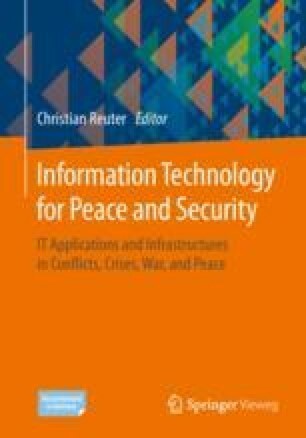 Tsagourias, N. (2012): Cyber-attacks, self-defence and the problem of attribution Journal of Conflict & Security Law Oxford University Press 2012, 16 pages https://doi.org/10.1093/jcsl/krs019.